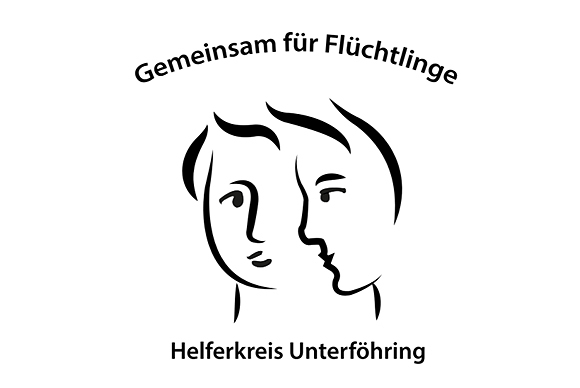 On behalf of the “Helferkreis Unterföhring“ we would like to offer you a warm welcome. We are about 200 Unterföhring volunteers from diverse age groups, professions and beliefs. We wish to offer our help to make you feel safe and comfortable in our community. Our aim is to find solutions to your problems together with you. In order to achieve this we have established a number of working groups operating in close cooperation with the social workers at your accommodation. Each of you will bring new aspects to our community, and you will learn much about us and about Germany. Many things you have heard about Germany will turn out to be true, others will prove wrong (yes, we like to be punctual and orderly – no, Bavarians do not only drink beer). Please approach the social workers at your accommodation and they will pass on your problems or questions to us. We are looking forward to meeting you and to establishing a mutual feeling of trust and tolerance, taking into account all kinds of cultural differences. We know much about your concerns and some of the difficulties you may face. We do not have magical powers, we cannot fulfil every wish or satisfy every desire. But we would like to help you to the best of our abilities. Please do not hesitate to contact us. We are looking forward to hearing from you. On the following pages there are many interesting links, information and references that will help you to find your way in Unterföhring and in Germany.